Image courtesy of the Coin Collectors’ Blog (www.coinsblog.ws). Like last year’s meeting, the latest forum was designed to foster greater dialogue among the various stakeholders; discuss implementation of ideas discussed at the 2016 forum; provide information about forthcoming products and improvements and innovations in how the Mint does business; and elicit suggestions from participants about how to improve the Mint’s products and operations. 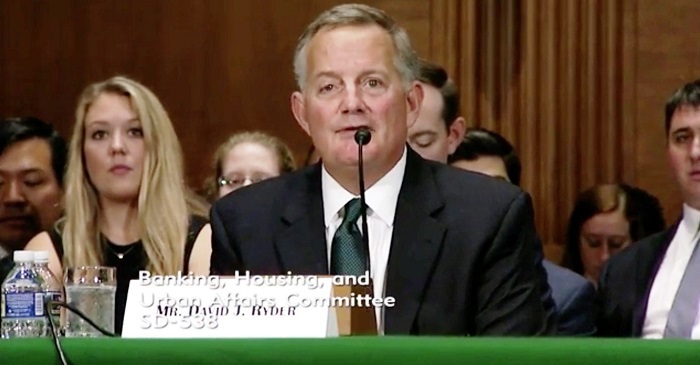 A week after the forum, on October 24, David J. Ryder, who has been nominated by President Trump to become the 39th director of the Mint, gave an opening statement and answered questions from members of the Senate Committee on Banking, Housing, and Urban Affairs during his nomination hearing. Mr. Ryder previously served in a recess appointment from September 1992 to December 1993 as Mint director. He told me recently that while he is not a serious collector, he has assembled an extensive collection of circulating and collector coins and bank notes during his several decades of international travel, including some error pieces from Russia. In addition, during the discussions with the senators, Mr. Ryder mentioned he was familiar with the issue of Chinese counterfeit coins, a key issue facing the numismatic industry today given the proliferation of such pieces. During his October 24 hearing, Mr. Ryder also emphasized the importance of education, which he plans to make a focal point if confirmed as Mint director. He mentioned that when he was the 34th director there was an initiative called the Money Story, which held the goal to educate the youth of our country on the history of coinage and paper money through a teachers’ curriculum and video that was developed by the Mint and the Bureau of Printing and Engraving. Ryder’s emphasis on educating young Americans about our money and how to collect it, which dovetails with the ANA’s mission, is an encouraging sign given the importance of bringing in new collectors to the numismatic field as older collectors pass away. More broadly, if he does become the next director, Mr. Ryder will direct implementation of the proposals from the Mint forums and chart the Mint’s path towards the future. Today, as in the past 225 years, the Mint’s director plays a key role in shaping not only the institution he runs but also the future of the numismatic hobby. One of the suggestions made at last year’s forum by coin dealers and PCGS was to offer a bulk-packaging option for coin wholesalers that does not include U.S. Mint packaging for coins they plan to submit for grading. In 2017, the Mint began testing a bulk-packaging program by offering the 2017-W American Silver Eagle in a bulk pack of five trays of 42 coins each. This option was very popular with dealers, and Mint officials said $2.6 million worth of coins in bulk packs were sold in 2017. The Mint said it is developing a multi-year plan to sell more coins through the bulk-packaging program, though dealers would like to see them move faster than the plan laid out at the forum. In particular, dealers expressed concern about the Mint’s plan to replace the 4% bulk program discount with a sliding scale of 3–5% depending on total sales. Dealers at the forum, including Patrick Heller, longtime Michigan dealer and former Coin Update contributor, said he passed along the concerns of dealers and collectors with what they consider to be excessive prices charged by the Mint for its numismatic products. Another key theme from last year’s meeting is various ways to bring in new Mint customers and to increase the Mint’s revenue from numismatic products, which saw a considerable decline in 2016 (when sales by volume went down by 22.7% while sales by revenue decreased 8.9% and net income decreased by 48.4%). One such effort involves issuing more silver medals, which contributed to the release of this year’s limited-edition silver medal set of the same design as the American Liberty 225th Mint anniversary gold coin. There is additionally a plan to issue five different silver medals in 2018 for each branch of the U.S. military, which will be paired with the 2018 American Veterans of World War I Centennial commemorative silver dollar. A maximum of 100,000 medals will be issued across all options. While there does appear to be increased interest in silver medals from the collector community, the Mint’s plan to sell each military medal only paired with the silver dollar, and not individually, has been met with widespread concern, because it would require someone who wants each medal to purchase five silver dollars too when they may only want one coin. The Mint should revisit this decision, which also drew concern from forum participants, and should consider either selling the medals separately or offer a set of each medal with one silver dollar or one dollar of each finish (Proof and Uncirculated). For the first time, to my knowledge, the Mint posted a complete schedule for the products it plans to issue in the coming year during the week of the forum, though some product release dates remain to be established. Highlights, apart from the many ongoing annual coin programs, and the previously-mentioned World War I veterans’ coins, include the February 8 release of a 1/10-ounce gold Proof version of the 2017-W American Liberty gold coin. It will not be issued in high relief and will be dated 2018 rather than carrying the dual date 1792–2017 like the 2017 gold coins. Next is the January 25 release of the first of three coins in a new series of American Platinum Eagle Proof coins themed around the preamble to the Constitution. 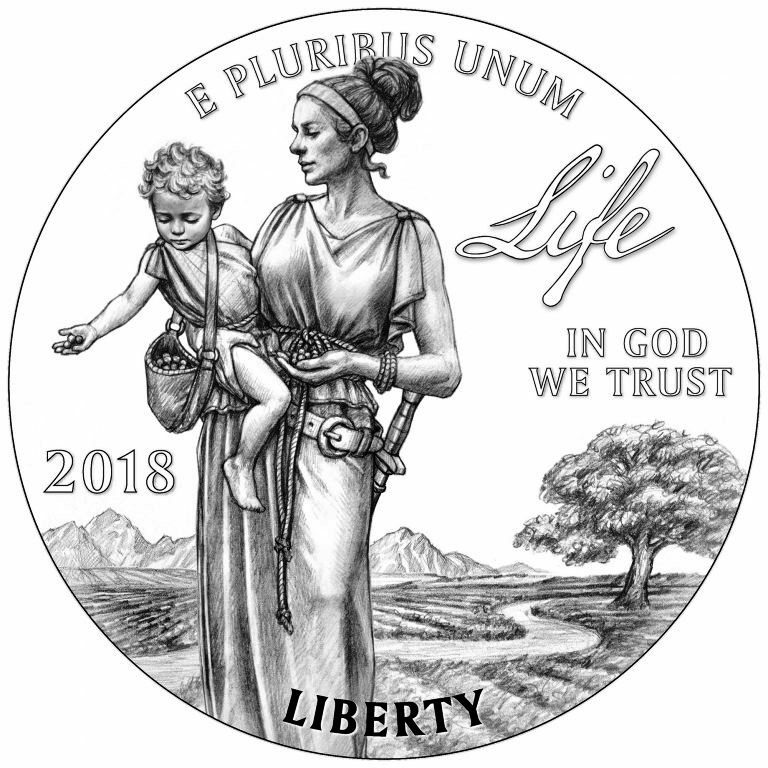 They feature modern depictions of Liberty inspired by the preamble’s themes, and are the first coin series whose obverse designs were all created by the same artist (an example of this coin was on display during the forum). Following that comes the March 15 release of three coins on breast-cancer awareness, including the first pink-gold coin (made from 85% gold, 14.8% copper, and .2% zinc) from the Mint and new product options like a coin and stamp set. Afterward is the summer release of a 2018-S American Silver Eagle Proof coin from the San Francisco Mint, marking the first time the Mint will sell both the West Point and San Francisco Proof coins individually in the same year. Additionally, the Mint will issue a San Francisco Mint Reverse Proof silver coin set — another product that should be a winner with collectors. These will all conclude with the first Proof American Palladium Eagle coin in the fall. During the forum, several interesting proposals were made, including a possible 2021 two-coin set with one gold and one silver one-ounce coin for the 100th anniversary of the Morgan and Peace dollars issued at the end of World War I — an idea that has been proposed in the past by collectors and other interested parties. Another important proposal is that the Mint is considering setting a household limit of 1 for the first 24 hours for new releases, something many collectors have suggested. In addition, in 2018, the Mint will start accepting Paypal and plans to announce a collector loyalty program — something I have proposed in the past — suggesting it might be modeled on the Royal Canadian Mint’s program. The Mint also plans to alert customers to new products with text messages. The Mint is also exploring various possible free shipping options, such as dropping shipping charges after buyers place their fourth orders or place subscriptions for products. Furthermore, the Mint plans to work with the numismatic community to have a successful National Coin Week in April 2018. This program is run through the ANA, which is currently eliciting themes for the 2018 program. It is obviously impossible for the Mint to please all its stakeholders, especially since the interests of collectors and dealers are sometimes at odds with each other. The 2017 forum, even more than last year’s meeting, provides clear evidence that the Mint is committed to improving what it makes and how it sells its products by taking greater account of what its stakeholders want. 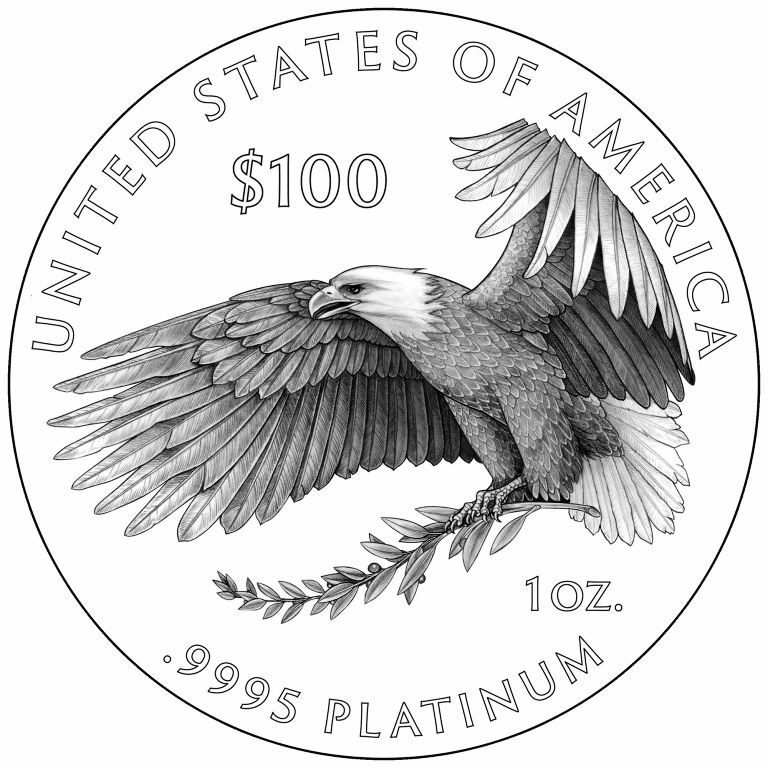 Many of the forthcoming plans and changes show the Mint is listening to what its core base — collectors — are saying, from plans to produce more coins with classic designs, to having a one-per-household limit for the first day of sales and providing a full schedule for the coming year’s products (something else frequently requested by collectors). These are all rather encouraging developments, but to have a better chance of achieving its goals and increasing its numismatic program revenue, the Mint should consider possible ways to involve representatives of the collector community in its annual forums and other ways to more directly elicit ideas and suggestions from collectors and others outside the forums. My other suggestions for the Mint concern two areas. First, regarding coin design, it is fine to reuse classic designs on some coins, but it would be preferable to use designs that have not already appeared in a modern form such as a Gobrecht silver dollar of a set of Liberty Seated coins rather than coming back to the same designs again and again. Another possibility is to use pattern designs for coins that were never struck. In addition, there are tons of great designs never selected from past programs that would be popular with collectors, especially of American eagles. This was done with the eagle that appears on the reverse side of the 2015 American Liberty gold coin and 2016 silver medals of the same design. The Mint might consider posting some of these designs on its website and allowing collectors to vote on which are their favorites, which would help the Mint decide which ones to use on new coins. Everyone would benefit from such a system: the Mint, dealers, and collectors. Second, greater collaboration between the Mint and Congress (as I suggested a year ago) is essential to meeting the varied challenges the Mint will face in the coming years, as is input from the numismatic community in the deliberations and programs of Congress that impact the Mint. A good start might be a congressional hearing on the modern commemorative coin program, and how it should be reformed to meet the interests of collectors by issuing primarily coins with themes of broad national significance.